Hey Cocoa Fly readers. Sorry I've been M.I.A. Life happens and I needed to get things together but I'm back. I don't know about you but sometimes when I turn on the news, it feels like everything in the world is happening at once. Mass killings in Binghamton, NY, the murder of 3 Pittsburgh cops after we just lose 4 cops in the O, kidnappings, weak economy and health care system, etc. I can't watch every local news cast around the country so I'm sure there's madness going on in your neck of the woods. I'm tired of hearing all this craziness. What's wrong with people? I watch the news everyday because I'm a journalist and I like to be informed. But sometimes I understand why people need a break from the news. 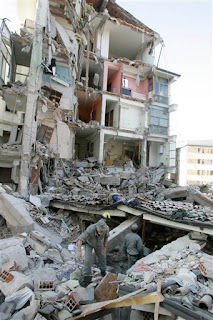 Another big story, the 6.3 earthquake that shook central Italy. My heart and prayers go out to the people in central Italy. The death toll has surpassed 200 and there are people still missing. I was a little girl in Oakland when a 7.1 earthquake hit the Bay Area. My mom was working in San Francisco. The Bay Bridge collapsed around the time she would commute home to Oakland. I didn't know if she was on the bridge or trapped somewhere. We didn't hear from her for hours after the quake. I was scared to death. My mom came home after midnight the following day. I can only imagine what the Italians are going through. When the news of the world hits me or when life isn't feeling like crystal stairs, I turn to music. 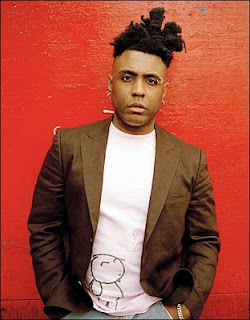 One of my favorite artists is the British soul- singer Omar. I was introduced to his music a few years ago but the brotha has been in the game since the late 80s, early 90s. He's not a mainstream artist but he has collaborated with Stevie Wonder, Common, Erykah Badu and Angie Stone. Omar performed in the Bay tonight and LA last night. I didn't make his shows this time around. I saw him perform in 2007 in Santa Monica. The brotha rocked the house. His music is a combo of funk, hip hop, R&B, neo soul and Caribbean. My girls rolled with me to his show and we danced all night. They had never heard of him. What's cool about Omar is that his songs are about love, life and peace. He ain't on that cookie-cutter "oooh yeah girl" stuff that some of these new artists do in every song. His music has depth and it makes you feel good. Which probably is why he hasn't reached mainstream status. My favorite songs are "Theres' Nothing Like This and " "Winner." He and Angie Stone have a sweet duet called “All for Me” on his last album “Sing (If You Want It).” You can find his music in the few record stores that are left. Or order on Amazon. I know Omar gets mad love from neo-soul fans but his sound appeals to many. Listen to his interview with NPR or watch the old school video below to see what I'm talking about. With all the craziness going on, I hope it makes you feel a little better. I saw Omar last Friday in DC. He was amazing. Glad you were able to rock with him. I never heard of the brother, but I really like his lyrics. It's a welcome change from the negative lyrics about black women. Thanks Cocoafly! !